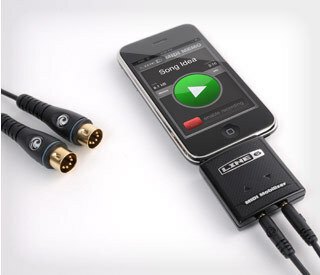 MIDI Mobilizer, Audio or MIDI interface for tablet/iDevice from Line 6. Line 6 has added new features and an updated SDK (software development kit) enabling new features for the MIDI Mobilizer third party app developer community. MIDI Mobilizer is a MIDI interface designed to turn iPhone, iPad, and iPod touch models into "music production studios" with the help of third party software applications debuting on the App Store. The SDK supports MIDI System Real Time messages such as MIDI Clock, which allows an app to sync to an external hardware drum machine or a sequencer running on a computer - or vice versa, the drumbox or sequencer can sync to the app. Available apps include MIDI control surfaces, synths, sequencers and music production software as well as DMX lighting control software and more. Recent additions include NLogSynth Pro with 126 synth sounds, StepPolyArp which is a step MIDI arpeggiator, NanoStudio which is a virtual recording studio and more. These apps are available today on the App Store. 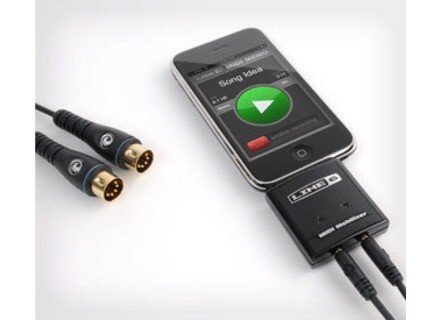 MIDI Mobilizer is powered by the iPod touch, iPhone or iPad, so no "wall wart" power supply is needed. "Great apps allow users to manage all sounds, sequences and other MIDI data right on the iPod touch, iPhone or iPad," Line 6 says. For more information and spec listings, visit uk.line6.com/midimobilizer. Avid Announces Pro Tools Service Release Avid has announced the availability of a Pro Tools service release that comes in three different versions simultaneously. TubeOhm Vintage TubeOhm has released Vintage, a new synth designed to bring "the old school sound from the classic big old synthesizers": Atmospheres, Strings, Organ and Synthetic Voices that sound human, not electronic. ESI KeyControl 49XT The KeyControl 49 XT is a 49-key aluminium case keyboard, for use live on stage and in studios.